In a small bowl, combine the garlic, tomato, wine, and salt. Top each fillet with the tomato mixture, then the spinach. Close the foil on top to make a loose package. 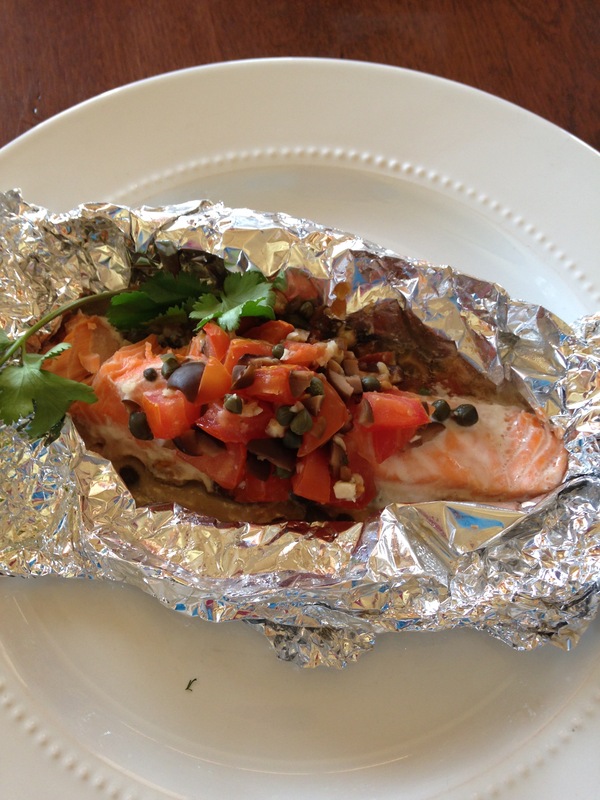 Keep in foil to serve warm or chill and serve later.